Hadley Park House Hotel is a four-star wedding anniversary hotel. Our first wedding anniversary package includes overnight accommodation, glass of bubbly, three course dinner and breakfast the next morning. The hotel is near Ironbridge giving lots of opportunity to explore Shropshire. The perfect place to celebrate. Enjoy Afternoon Tea with Bottomless Bubbles for just £39.95pp. Available for groups of 6 or less. Pre-booking essential. 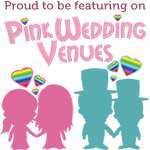 Looking for a venue in Telford or Shropshire for a school prom? Hadley Park House Hotel has an inclusive package perfect to celebrate the end of your schooldays! Host a meal the night before your wedding for family and friends. A great way to relax and catch up, especially if guests have travelled far and wide. Just £15pp and private room too (subject to availability). Fantastic Winter Wonderland Wedding Package available from JUST £3595!! A special two night stay with dinner each evening, full English breakfast and a passport to visit all 10 museums at Ironbridge for just £199 – saving 40% of the usual price! Our Whirlwind Wedding Packages are perfect for anyone who is planning a last-minute wedding in Shropshire. As the name suggests, if you only have a few months to plan, then our experienced team can help pull off your big day!